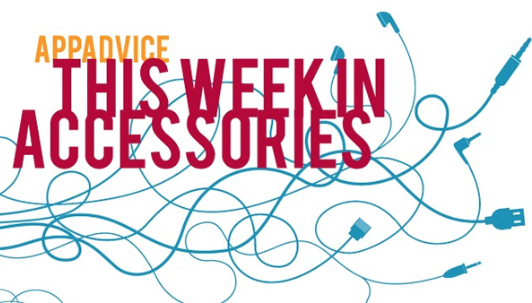 Welcome back to our weekly look at some of the newest iOS device accessories. In this week’s edition, we’re highlighting a home recharging center, a beautiful gift for mom, and more. Griffin, for the first time ever, is offering a new accessory via the crowdfunding platform Indiegogo. 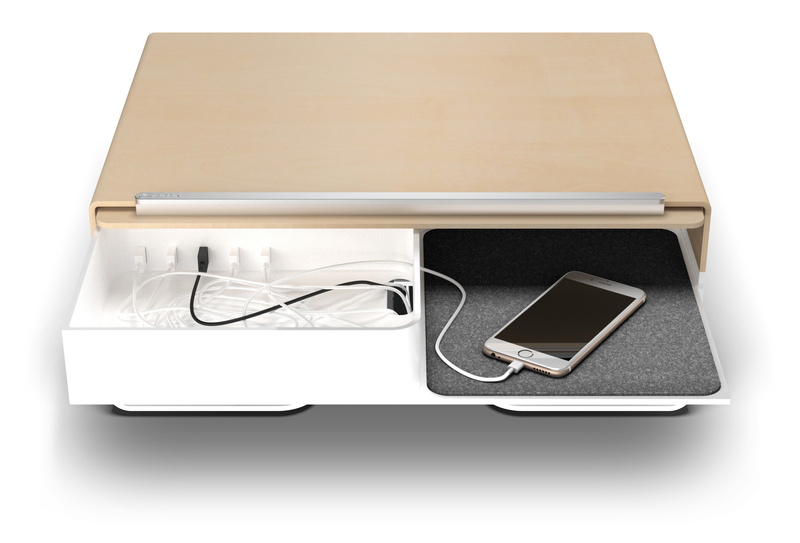 The Cove Home Charging Station contains five, 12-watt USB ports capable of charging up to five iPads, or other USB devices, at one time. All the charging cables are tucked safely and neatly inside the station. The low-profile sliding door closes to conceal the devices and can also be tilted out to serve as a hands-free stand. Right now, for a pledge of $150, you can snag a cover in one of three wood colors – birch, walnut, or ebony. All pledges are estimated to ship in December. With a little more than two weeks left to go in the campaign, Griffin has easily passed its original $30,000 goal with almost $50,000 raised. As the name suggests, the Bendy Cable from Bite my Apple can be easily bent into a number of positions. 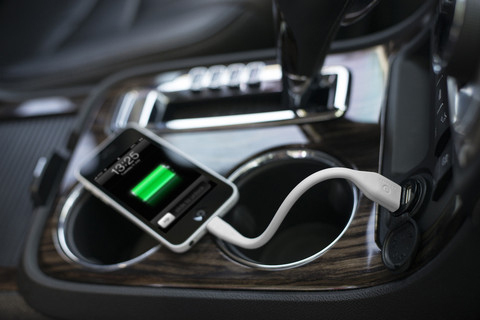 It’s designed to for use in the car or a power bank. The cable can be ordered now from Bite my Apple for $19.99. Buyers can select from a black or white version. 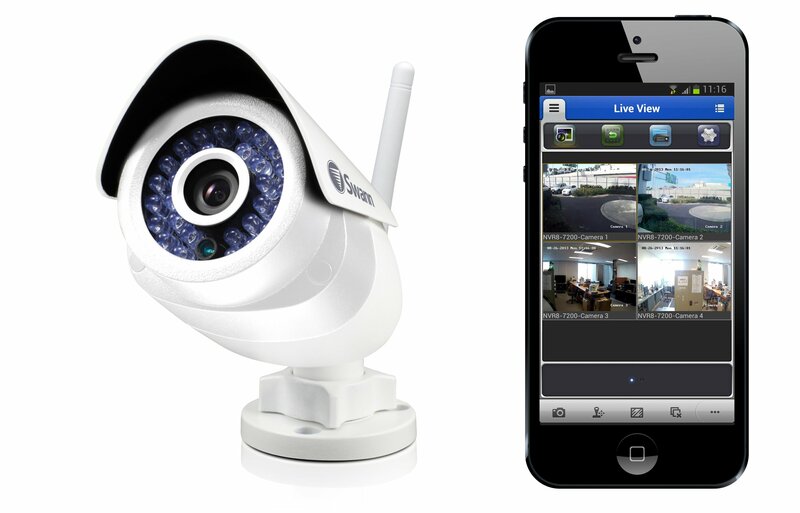 Swann’s ADS-466 camera can be used both indoors and outdoors. Setup is easy with no networking required. Along with 720p video, the built-in microphone can help users understand what’s happening at the camera’s location. Using the companion app, you can also be notified if the camera detects motion. Video and images can be saved on an optional MicroSD card. The camera retails for $179.99 and can be ordered from the company’s site, Fry’s, Lowes, and Microcenter. Still looking for a perfect gift for mom this Mother’s day? Misift has unveiled a limited-edition box set featuring its beautiful Misfit Shine fitness tracker in rose gold. The box itself is made with pure Sapele Mahogany. The limited-edition set with a Bloom necklace, rose gold tracker, sport band, clasp and battery is $249.99. A version with a silver mesh band is $219.99. Both can be purchased now from Misfit’s site and will be available while supplies last.